Hue made it! Join Story for a Crayola Create It Yourself (CIY) event as we take the CIY network offline! 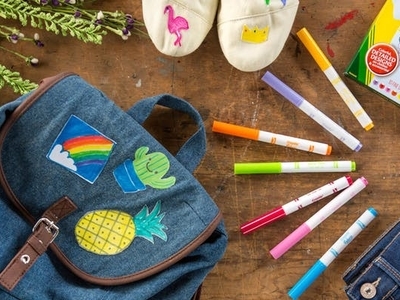 At this hands-on workshop, artists of all ages will use Crayola Markers, to create iron on patches, putting a personal stamp on classic Levi’s T’s or a denim jacket for kids.